Three of the 2016 National Road Safety Conference sponsors have confirmed that they will continue their support for the event in 2017. 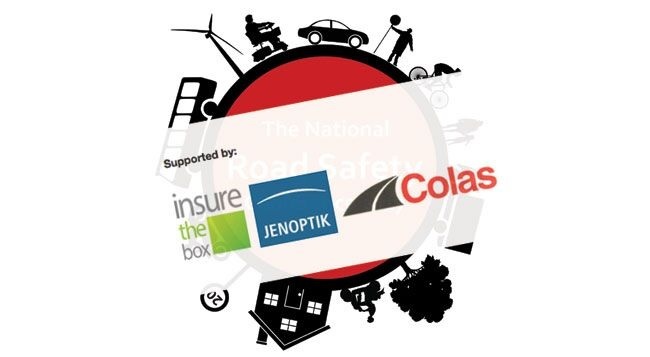 Colas, Insure The Box and Jenoptik Traffic Solutions UK have all confirmed their sponsorship for the 2017 edition of the National Conference, which takes place at the Radisson Blu Hotel, Manchester Airport, on 14-15 November. The 2017 conference is being organised by a committee drawn from Road Safety GB North West, North East and Yorkshire & Humber regions. The event will look to build on the success of last year’s conference in Bristol, which saw a record number of attendees (310). More than 150 people have already registered to attend this year, and 14 companies have booked to participate in the exhibition which runs alongside the conference. Colas operates nationally in the highways and airfields sectors, delivering sustainable solutions for design, building and maintenance of the UK’s transport infrastructure. The company has more than 1,600 employees in the UK working out of 25 locations, and is part of the International Colas Group, one of the world’s leading road construction and maintenance organisations. This is the seventh consecutive year that Colas has sponsored the National Conference, and Colas has also been the sole sponsor of the Road Safety Knowledge Centre since in was launched on 2011. Jenoptik Traffic Solutions UK (previously known as Vysionics) is a world leader in innovative and industry-leading solutions for the Intelligent Transportation Systems market. Jenoptik’s services range from ‘out of box’ camera products though to fully managed service delivery applications. All Jenoptik systems are Automatic Number Plate Recognition (ANPR) based, covering a diverse range of real world applications including journey time systems, average speed enforcement, police ANPR, bus lane enforcement, car park management and congestion charging. Jenoptik also sponsors the Road Safety GB Twitter feed. From a standing start in 2010, Insure The Box has become the UK leader in black box (telematics) insurance. Insure The Box has sold more than 500,000 policies and amassed in excess of 2.6 billion miles of customer driving data, affording great informational insight in order to best meet customer needs. Insure The Box believes in rewarding positive driving behaviour to engender long-term good driving habits and help save lives.